21 Things You Need to Know About Diabetes and Nutrition is your straightforward guide to eating well with diabetes. Inside you'll find practical tips and strategies to help you put a healthy meal plan into action and a few delicious diabetes-friendly recipes to get you started. 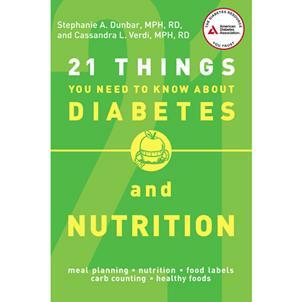 Balancing nutrition and diabetes has never been easier.